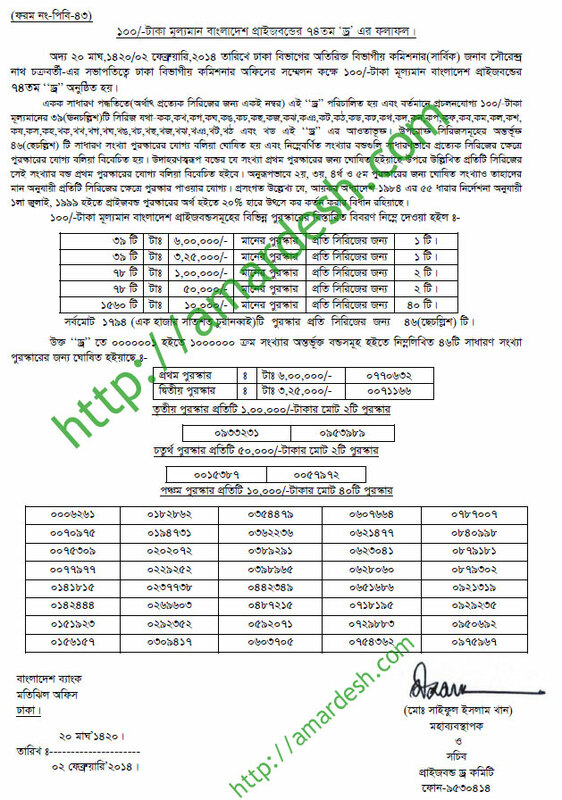 The 74th Draw for Bangladesh Bank 100 Taka Prize Bond was held and published on 02 February 2014. Prize Bond (PB) is a form of savings of Bangladesh Bank (BB) and it is interest-less bond. A total of 1794 prizes announced for 39 series of the prize bonds. In each series there 46 prizes. The lottery is commenced on every three months by Bangladesh Bank.